Will Charlottesville Wake White Christians Up to Racial Injustice? What happened in Charlottesville, Virginia, earlier this month turned the nation’s attention to race and race relations within the country yet again. 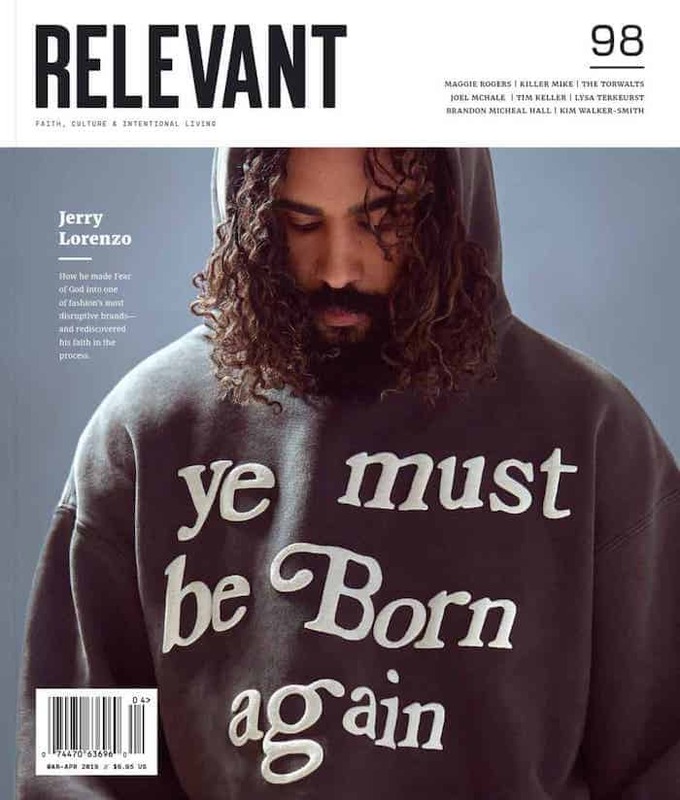 On the most recent episode of the RELEVANT podcast, we talked with rapper and activist Lecrae, who, in the early aftermath, reached out to students of the University of Virginia, about his opinions on the current issues, the way the Church can move forward and some of the work he’s doing in the community. RELEVANT: What I want to do is recap, just factually what happened in Charlottesville, Virginia. People know about the violence but maybe you don’t know the backstory of what was actually taking place. A Unite the Right rally was planned for Saturday the 12th to protest the removal of a statue of Robert E. Lee. The day before this was scheduled, on Friday, marchers descended on the University of Virginia carrying torches and yelling slogans like “White lives matter” and “Blood and soil.” Then protesters gathered again on Saturday and clashed with counter-demonstrators. Around 11:30 a.m., a local state of emergency was declared on Saturday by the city of Charlottesville. Then at 1:42, a speeding car rammed into the anti-racist protesters, killing 32-year-old Heather Heyer and injuring at least 19 others. The car fled the scene but was soon located and stopped by police. The guy who was driving the car was James Alex Fields Jr, from Ohio. He’s been charged with second-degree murder and other counts that are still pending. I just want to open up the conversation with Prop and Lecrae and just ask you guys to take me through your weekend. Take me through what was going on with you as you saw the events unfolding. Lecrae: I’ll start off, I’ll just say, when I initially saw what was taking place. I think the feeling was fear for the students, not understanding the level of volatility that was going to happen. That was my level of concern—I went into dad mode, like how do I protect innocent lives from something that could potentially get out of hand. RELEVANT: One of the things that I thought was kind of most shocking—well everything was shocking and disturbing about it—but these individuals who were marching, these people that were in the KKK. They weren’t even wearing hoods. They didn’t even have the shame or the fear to hide their face anymore. Do you guys see this as a moment that can be a wake-up call to a lot of people, even the people in the Church, who at this point, may not have known the level of racism that still exists in this country? Lecrae: I think people don’t want to know. It’s very obvious for a person of color. These are things we have to think through on a daily basis. So when we talk about issues such as white privilege, a lot of people think we’re talking about how much money you have or your job is better than mine or how hard you work. Of course you did, but there’s areas where you have the privilege of not having to think about who’s racist and who’s not. You have the privilege of not having to consider why you were being turned down for a job opportunity. That may be your dentist out there with the tiki torch and you didn’t even realize it. How does that make you feel now? That might be the person in your congregation, that might be your deacon and you didn’t have a clue. And so, that’s just a very scary place where I think lines have got to be drawn very clearly, especially in the Church about where we stand on these particular things. RELEVANT: What would you guys have liked to seen the Church’s response be? I was waiting for the Church leaders to step up and be the moral compass and I just didn’t see it happen. And I can’t fathom why the Church was so silent this week. What I would’ve hoped to have seen is a realization of where [the Church is] sort of complicit in the dog-whistling of that. To see that, “Hey, some of these policies we’ve stood for and some of these things that we’ve been saying and allowing to come out of our mouths, we may have meant one thing, but [we] didn’t what[we] were signaling.” And I’m hoping that now you see that you were signaling this. In the same way—in a deeper way, actually, I have no problem disavowing—although I understand it—I have no problem disavowing criminal activity in the hood. I understand how we got there, but it’s still wrong. That’s not a hard discussion. I feel like for the Church and our government, this was a layup. This was literally the easiest thing you could’ve come out against. It was a no-brainer. Lecrae: Unfortunately it’s too late though. To some degree, it’s too late because it was a layup for us with Trayvon. It was a layup with Mike Brown, it was a layup with Philando Castile, it was a layup for Eric Garner it was a layup for Sandra Bland. You know, it’s been a layup for the Church to say something since 2014. So unfortunately, as far as people of color, Evangelical people of color, they’ve already decided we have no advocate or ally here, so we’ve moved on. They moved on a long time ago. So this is just more like us sitting back saying, “Well there’s an old African-American proverb and it goes, ‘We tried to tell y’all.’” So that’s what I think people are experiencing right now in the Church. RELEVANT: What do we do? I don’t want the Church to look like this, but you’re completely right, Lecrae. Is it really a thing where we just throw our hands up and say, “Oh well, it’ll never get better”? Lecrae: I can only speak for myself and some of my friends. I think our resolve is, we know, as people of color, we can’t tear down the infrastructures of systemic oppression, racism, white nationalism. We can’t. We make up a very small portion of the population, we have little to no control, as far as this nation is concerned. So that infrastructure being torn down is going to have to happen from white allies. I’ll tell you a very tangible example that I’m having to deal with currently is, I’m very involved in a school in the inner-city of Atlanta and we want to make the whole area around the school better and to make that area better, it takes us getting rid of some of these abandoned houses that are used for drug trafficking. The problem is getting rid of these abandoned houses that are used for drug trafficking is that they’re owned by white investors who don’t want to sell them because they’re waiting for the land to turn over and be gentrified. So, you have a people group that is feeling the oppression, kids who want a better education, but have to step over needles and have to deal with the violence and the issues of the drug trade because we can’t buy these houses—which we’re ready to buy—and turn them into barbershops and turn them into places where healthy families can move in. We have to just sit and wait for these wealthy white landowners to say, “Yeah, we’ll consider it.” But they don’t wanna sell them, they want to wait until the area’s gentrified and the people in the community are pushed out somewhere else. That’s part of the issue on a different level. Propaganda: So that’s what we mean by systemic. It’s a system problem. 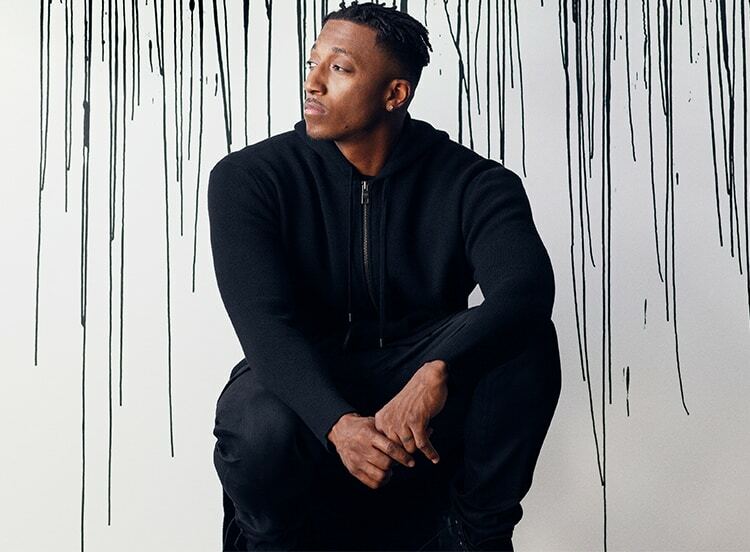 Lecrae: As far as the Confederacy and the identity piece, it’s really kind of ludicrous. At the end of the day, finding your worth and value in this historical fabrication, it really doesn’t make any sense to encourage or say, “Hey, you guys deserve the right to protest against these things coming down from national leaders” because it’s the antithesis of America. Editor’s note: This conversation has been edited for length and clarity.